Price adjusted! Attention INVESTORS and CONTRACTORS, CASH, AS IS, QUICK CLOSE. 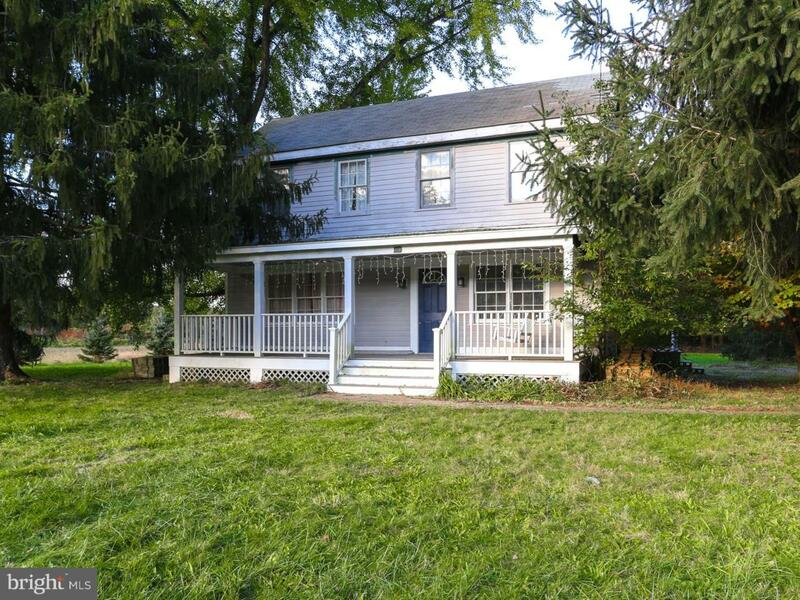 2,956 Sqft house on 1.02 acres, located in desirable Robbinsville Township. The property is in need of renovation. The style of the home is a unique, charming colonial, custom designed by the owner who is an architect. The driveway side of the home offers a lovely main entrance, welcoming you into a grand, 13x16 foyer, featuring a two story view of the open stairwell. The front of the home offers a covered, rocking chair front porch and front access to the living room. The back of the home boasts a natural light filled, large kitchen and dining room with a French door to the peaceful lawn and beautiful, wooded view. Upstairs are four generous bedrooms, one of which offers a spiral staircase to a third floor, windowed loft which boasts sweeping views of the property. Purchaser to obtain township certificate of occupancy. All inspections are for informational purposes. Owner will not be making repairs. House is serviced by well water however there is a public water line in the street up to the neighboring house to the left of subject property. Propane gas is currently servicing the house, PSE&G natural gas service is located from rt 130 to as far down the road as 114 Voelbel Rd. Seller's disclosure is available upon request.